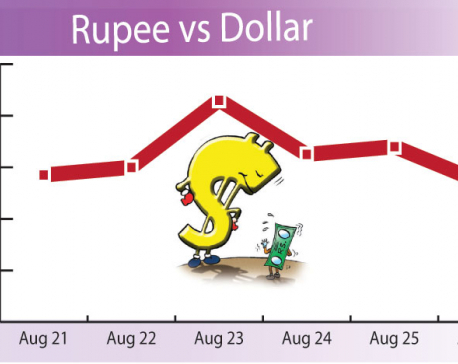 KATHMANDU, Sept 12: The value of Rupee has plummeted to a new low of 116.61 against the US Dollar. 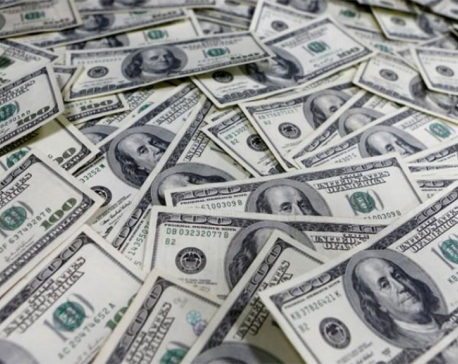 According to the reference rate for Wednesday published by the Nepal Rastra Bank (NRB), the selling rate for US dollar 1 is Rs 116.61, down from Rs 116.23 on Tuesday. The free fall of the domestic currency follows the rout of Indian rupee with which the local unit is pegged. As the domestic currency is pegged with the Indian currency, Nepal has no control over the movement of its currency vis-à-vis US dollar. 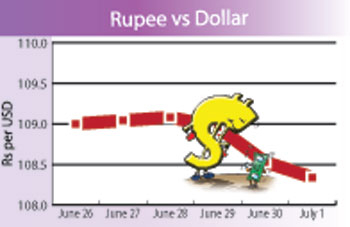 The plunging value of Rupee is a matter of worry for the government that has been plagued with burgeoning trade deficit amid alarming rise in imports and crawling exports. However, exports, tourism businesses and remittance-receiving households stand to gain from the currency depreciation.